A survey of 6,000 garages across the UK has identified that franchised retailers charge an average of 40% more than their independent rivals for an hour's workshop labour. The most expensive rate uncovered by research carried out by automotive service and repair start-up motoreasy was £234 at Porsche Reading, while the cheapest was just £36, offered by an independent workshop in Manchester. Franchised workshops are generally more expensive, with an average UK labour rate of £99 compared with an independent garage average of £56. The findings will be a blow to NFDA chairman Mark Squires who has urged retailers to go head-to-head with franchised operators independent and fast-fit rivals to win new aftersales revenue. 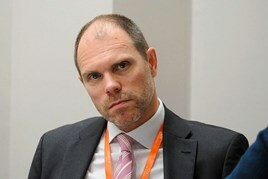 Following publication of the latest NFDA Customer Satisfaction Survey, he described the consistent debate about more expensive labour rates as a “massive red herring”. The NFDA’s data showed that the perception of ‘good value for money’ is still a stumbling block, however, only improving from 19% to 21% when comparing those customers that have used a franchised dealer in the last two years, to those that have not. 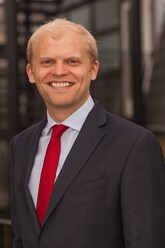 Squires said: “We recognise there is a gap between perception and reality on pricing for servicing and it was one of the reasons behind establishing this survey. NFDA director Sue Robinson added: “The franchised dealer network has highly trained skilled engineers who place safety and the quality of service above the hourly cost. "The hourly rate measured in the motoreasy survey does not equate to final bill and is not reflective of the final cost of service. “An unqualified engineer, charging an hourly rate, may take longer to service a vehicle as a result of not having access to the manufacturer, the specialist equipment and the added FOC services such as software updates." Despite the ever-increasing cost of service, maintenance and repair work in garages, motoreasy found that more than three quarters of motorists (77%) admit they have no idea how much they pay for an hour of labour. 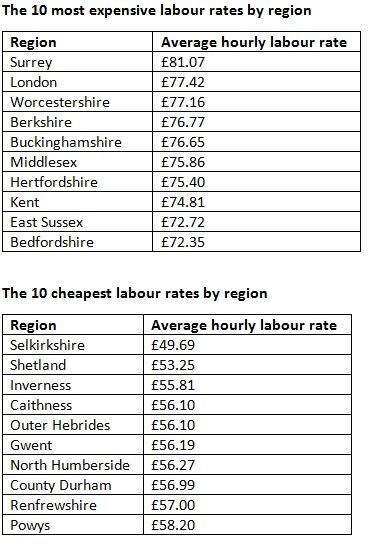 Research carried out by motoreasy highlighted the difference in labour rates across the UK. However the labour rate may be more per hour, However in my experience technical specialist expertise means less time spent and items only replaced as required. Also with that specialist knowledge earlier identification of potential issues and early rectification often saves the motorist money in the long run. Did whoever carried out ths survey factor in the demands of manufactures on franchised dealers ie loan cars,collection and delivery,the need to constantly up grade tools and equipment, the proportion of lower paid warranty work, the requirement to archive all documentation for at least five years, Compulsary training away from the dealership. All no doubt difficult to evaluate but costs none the less.